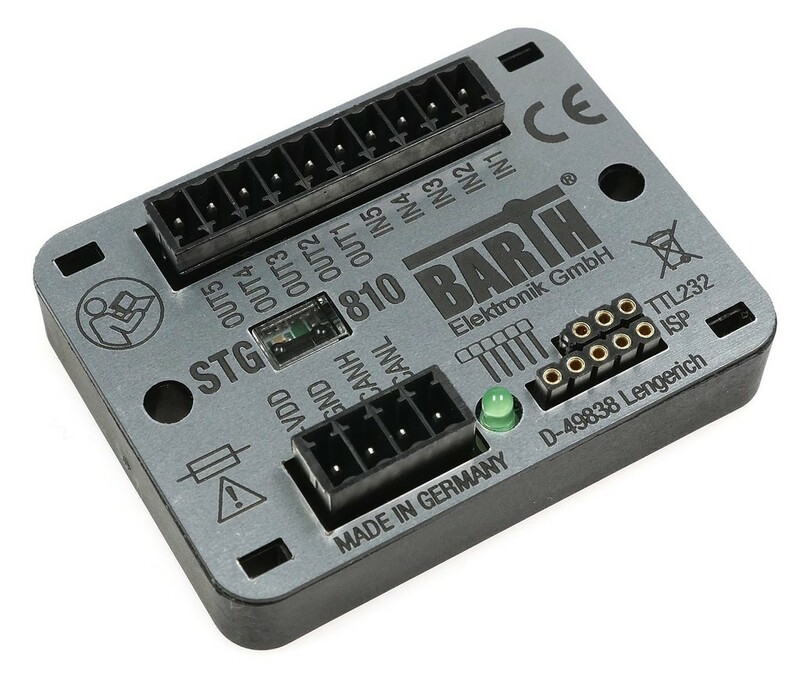 RS Components has updated its mini-PLC range from innovative controller manufacturer Barth Elektronik. The new product introductions, for which RS is exclusive global distributor, include three new mini-PLCs, a new parameter programmer and a touchscreen display. The three new mini-PLCs are based on a 32-bit ARM Cortex processor, which offers a significant step change in performance. 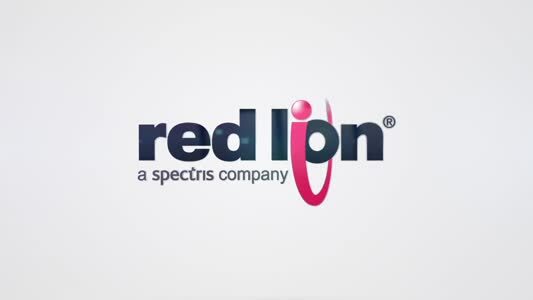 Programming is via the established miCon-L software, as well as allowing open source C-programming with the KEIL µVision software suite. All PLCs exhibit 10 I/O and a CAN interface that allows communication with external devices. The STG-800 offers three 0 to 30 VDC analogue inputs with a 12-bit ADC, a 25 KHz-input event counter, a 40 µs-input pulse and frequency counter, four solid-state power outputs (up to 1.5 A) and a 16-bit 1 Hz to 25 kHz power PWM output. The STG-810 model adds an IrDA (Infrared) comms port, for communication with the new PG-65 parameter programmer. 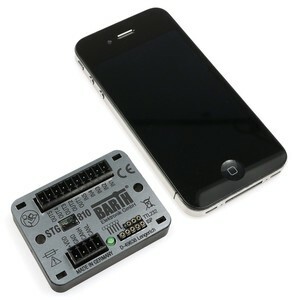 Finally, the STG-820 offers the same as the STG-810, but offers analogue output instead of PWM. The mini-PLCs provide hardware-oriented microcontroller programming at the lowest current consumption in a small form factor and are ideal for a range of applications including: industrial and building automation, automotive and maritime technology, technical education/university, and white goods. All three PLCs come with connectors and are complemented by open source templates, the miCon-L software suite and manuals and sample programs, which can all be downloaded. The new PG-65 parameter programmer can be connected via CANbus or IrDA to the PLCs and can be used to activate or deactivate programs or upload new parameters to easily adjust I/O settings without the need for a computer. Its 2.4 inch 240 x 320 colour touchscreen display, rugged design, aluminium die-cast housing and intuitive graphical menu makes it ideal for field service use. The DMA-20 offers the same functionality as the PG-65 parameter programmer, but with an IP65 (splash proof) touchscreen display. Many industrial controllers are often over specified, which results in additional expenditure, steeper learning curves and over complication. 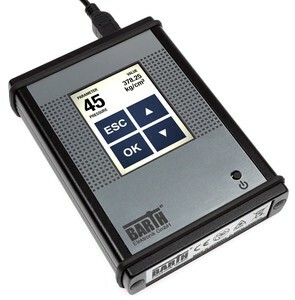 The mini-PLC range from Barth on the other hand delivers a best-fit solution for a whole range of smaller applications that simply do not require overly powerful PLCs.